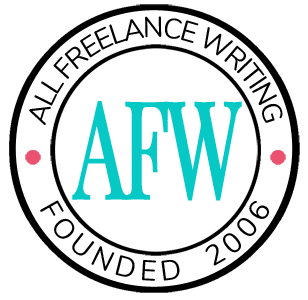 If you've freelanced at all before, you probably already know: there are no guaranteed paychecks in freelance writing. I often tell my family and friends, particularly those who dream up things for me to do during work hours, that my pay is tied directly to my productivity. I don’t write, I don’t get paid. It’s not like a desk job where you clock in, stay for awhile, get paid for the hours you were on the clock. And certainly not like a salary position, where you’re paid the same amount every payday almost regardless of the amount of work you completed. Since we're not guaranteed a paycheck, not in the same way as people with an employer, our money management has to be different. I became serious about my finances very early. We have to know the amount we need to live on each month, i.e. your total monthly expenses. Of course, this is something everyone should know, but for self-employed people it’s important because that number is the basis of your monthly income goal. If your expenses are $3,000 each month, then you know you need to do at least $3,000 worth of work that month. Living month to month is risky for me, so I try to earn prior to that month or at least a couple of weeks before certain expenses are due. Because we’re not on anyone’s payroll, payments sometimes come later than expected. Never rule out the possibility that someone could stiff you for payment all together. You may have some recurring projects that are relatively guaranteed. Factor those into your monthly income expectations, but remember that clients can quit anytime, sometimes they won't warn you in advance. You should also be aware of what's in your checking and savings accounts and how much money has already been allocated to other things. That our next paychecks aren’t guaranteed means we need a reliable safety net. In other words, we need to have money in the bank that we can pull from when clients pay late or we don’t make as much money as we expected. Always know how to drum up more work if your clients leave you or your expenses increase. For example, I have a list of websites in my niche to send out pitches to whenever I'm looking for additional work. It’s important not to use debt as income. When times are tough, try to rough it rather than use credit cards or loans to pull you through. Debt balances increase your monthly expenses and require you to earn more money to meet your monthly obligations. You’ll find yourself working even harder just to pay off debt. The less debt you have, the less stressful, financially at least, your freelance life will be. In my opinion, the money management part of freelance writing is one of the most important factors in having a long career. You may be the best writer, have an influx of clients, but if you don't know how to manage the pay irregularities, you'll struggle. Get that part under control and you can freelance as long as people will hire you. Living from paycheck to paycheck can be risky because unforeseen expenses may come up, which is the case with illness and accidents. That’s why it would be ideal to have a safety net in the form of credit or financial savings. This is a very important topic LaToya, and I really like your advice, especially about avoiding debt. I know it’s not feasible for everyone, but it’s important to build up a savings cushion as quickly as possible, even if it means foregoing vacations or living more simply. Those savings can see you through the lean times that eventually affect most freelancers. LaToya, great reminder on the money management side of our work. I’d like to add my own experience to the great advice you’ve already given. Each check that comes gets divided immediately. In fact, I have it divided in my head before it shows up — 15 percent off the top for taxes (paid on the spot, too); a percentage goes into my savings, and another percentage goes into my retirement account. The rest is for bills and fun. I didn’t list what my percentages are for those last two because it’s up to each person to decide what’s needed. I make it enough that I have a cushion should a check not arrive and for that all-important IRA deduction on the 1040. But it helps me to do this with each check. That way I’m not staring down a quarterly payment deadline with nothing in the account to cover it. Wow, is this post ever timely. You provide some of the best solutions to help freelancers manage those lean times that inevitably come: closely monitoring income and expenses, building up savings and avoiding debt from making ends meet using credit cards. I would also suggest having a plan in place for emergencies that could negatively affect your business. A single devastating event in a freelancer’s business or personal life could result in serious financial problems. This is something I’ve learned first hand. Managing your finances without a paycheck is a crucial thing especially when you are handling a business. This may affect your ROI and investment. It is all about money management.